After 26 years of service to citizens of the city of Miami, senior fire fighter and Quint 9 driver, Ivan Chavez, is retiring. On his last shift, his station held a dinner in his honour at FireHouse 9. All day they had visits from current and retired fire fighters from multiple departments who came by to congratulate the old man. 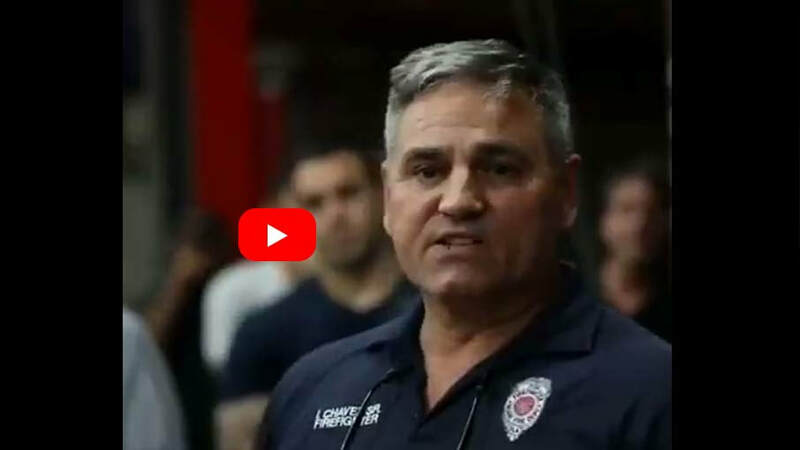 Towards the end of the night, fire fighter Chavez shared some advice to the room full of brothers and sisters who surrounded him and they were lucky enough to capture it. Please keep in mind that fire fighter Chavez does not like being recorded, declined multiple times to be interviewed and if he would have seen the camera .. well..We're not sure what would've happened next. To the brothers and sisters watching this video.. are you a German Shepard or a wolf? Ivan's the real deal..so share this with the other wolves and let the German Shepards know.. We see you!